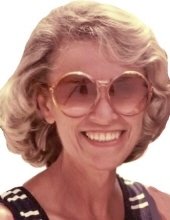 Norma Bryant passed away in Tomball, Texas on September 19, 2018. Norma was born in Canton, Illinois on December 14, 1929, the daughter of Floyd and Mildred Lakin. She grew up in Central Illinois and in 1950 she graduated from the Graham School of Nursing. Norma was a constant advocate for her two children, Julie and Doug. She dedicated her life to care for them and especially for Julie who needed her the most. Norma volunteered at Northwest Medical Center in Houston for many years and she had a long career in the Houston area as a nurse. She is survived by her son, Doug and his family; and her daughter, Julie. Norma will be missed by all her friends and neighbors. The family will have a private ceremony in the coming months. To send flowers or a remembrance gift to the family of Norma J. Bryant, please visit our Tribute Store. "Email Address" would like to share the life celebration of Norma J. Bryant. Click on the "link" to go to share a favorite memory or leave a condolence message for the family.